SANE Australia is a national not-for-profit organisation helping Australians affected by mental illness lead a better life through support, training, and education. Mental illness is very common and knows no demographic boundaries, affecting around 20% of Australians at some stage of their lives. Research shows that Australians are unlikely to recognise the early signs of mental illness, and that poor community attitudes are an obstacle to people seeking help. 80% of Australians believe the general community is not understanding and supportive of people with mental illnesses, though accept that they are medical conditions, ‘real’ in the same way as a physical illness. Friends or family are often in the best position to notice when someone is becoming unwell. 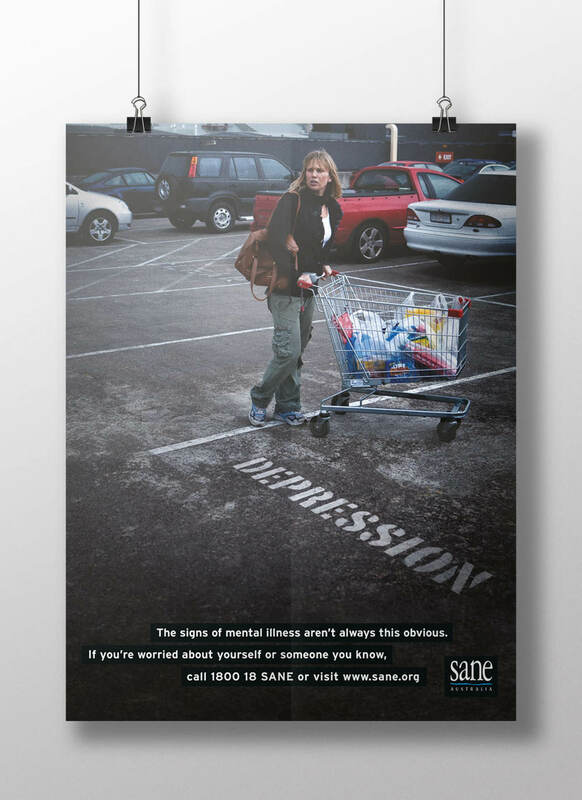 The ‘Signs (that something is not quite right’) campaign aimed to create further acceptance of mental illnesses as real, increase awareness of the possible symptoms, and encourage families of people with suspected mental illness to contact SANE for help. The campaign consisted of radio, TV, metrolites, airport signage, magazine and press ads. The response to the TVC was so dramatic, SANE could monitor when it was airing by the immediate upsurge in calls to their 24 hour helpline.